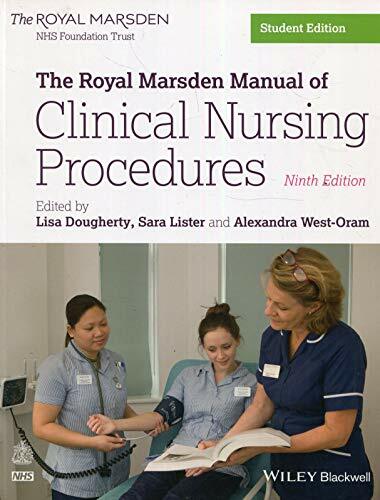 The Royal Marsden Manual of Clinical Nursing Procedures has been the number one choice for nurses since it first published, over 30 years ago. One of the world's most popular books on clinical skills and procedures, it provides detailed procedure guidelines based on the latest research findings and expert clinical advice, enabling nurses and students to deliver clinically effective patient-focused care. The ninth edition of this essential, definitive guide, written especially for pre-registration nursing students, now includes a range of new learning features throughout each chapter that have been designed to support student nurses to support learning in clinical practice., Providing essential information on over 200 procedures, this manual contains all the skills and changes in practice that reflect modern acute nursing care.